With not many days left until Christmas and the New Year I’ve just about got time to write a bit about two books I’ve read this month from my to-be-read books. I’ll be writing about the second book in a later post. The first one is Imperium by Robert Harris, the first in his Cicero Trilogy. 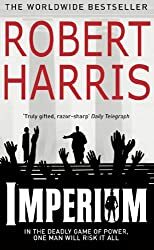 I love historical fiction and over the years I’ve read quite a lot of it, including novels set in Ancient Rome, so I’m familiar with the characters in this book, but not about all the details that Robert Harris has packed into Imperium. Beginning in 79 BC, this book set in the Republican era is a fictional biography of Marcus Tullius Cicero by Tiro, his slave secretary. Tiro was a real person who did write a biography of Cicero, which has since been lost in the collapse of the Roman Empire. Tiro is credited with the invention of shorthand. Harris has based Imperium on, among other sources, Cicero’s letters, which Tiro had recorded, successfully interweaving Cicero’s own words with his own imagination. It is basically a political history, a story filled with intrigue, scheming and treachery in the search for political power as Cicero, a senator, works his way to power as one of Rome’s two consuls. The first part of the book (and I think the best part) covers the trial of Verres, a corrupt governor of Sicily. I found this gripping as it was by no means obvious that Verres would be found guilty. Cicero builds the case against him and the resulting trial is a dramatic showdown. After that the book dragged just a little bit for me as it moved on to describing a complicated struggle to change Rome’s government from a Republic to having an Emperor as absolute ruler. 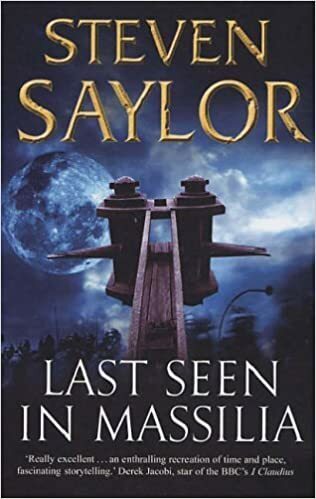 But it picked up again towards the end and overall I thought this was a very good book and I’m keen to read the second in the trilogy, Lustrum. 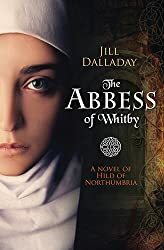 The Abbess of Whitby is subtitled A Novel of Hild of Northumbria. As Jill Dalloway explains in her Author’s Note at the end of the book what we know about Hild (St Hilda) comes from the Jarrow monk Bede’s A History of the English Church and People written 40 years after her death. He gave no information about her between the ages of 13 and 33, so Jill Dalloway has based her fictional account of her life up to the age of 33 on the works of various modern scholars, assuming that like other royal girls of the time she was married for dynastic or political purposes. The major characters are historical, with a few exceptions and Hild’s husband and son are fictional. Hild was born in 614 and died in 680. Knowing very little about the historical background to the story I found this a fascinating book, but could not have followed it very easily without the list of characters, the family tree of the royal families of Northumbria and the maps showing the Peoples of 7th Century Britain and of Hild’s Northumbria. I was surprised by how much people travelled in the 7th century. It spurred me on to find out more and I am now reading The King in the North: the Life and Times of Oswald of Northumbria by Max Adams. I would also like to read Edwin: High King of Britain and Oswald: Return of the King both by Edoardo Albert. About two thirds of the book covers Hild’s early life, from the time she was chosen to lead the handmaidens of the fertility goddess Eostre. It’s a time of transition as people are gradually being converted to Christianity, although at first it appears to be a matter of politics rather than of faith. Her marriage to Cerdic of the Goddodin tribe took her to Din Edin (Edinburgh). When home and family are lost in Oswy’s sack of Edinburgh, she finds herself in enemy hands, but meets the charismatic Aidan (St Aidan of Lindisfarne). The final part of the book covers her life as she helped establish various chapels and finally settled in Whitby as the Abbess there, involved in resolving the Easter dispute at the Synod of Whitby in 664. This settled that the calculations to establish the date of Easter would be according to the customs of Rome, rather than the Celtic customs practised by Irish monks at Iona and also to observe the monastic tonsure. For me the first two thirds of the book, showing the disputes between the separate kingdoms in Britain in the 7th century, the transition from pagan to Christian beliefs and the harsh conditions and plague people had to endure, came to life more successfully than the later chapters. I received this book for review from the publishers via LibraryThing’s Early Reviewers Program. Jill Dalloway is a classicist, historian and former head teacher who pioneered the Cambridge Latin Course. She lives in Whitby. 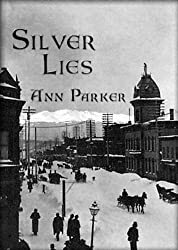 From out of the black hole that is my Kindle came Silver Lies by Ann Parker, a new-to-me author. Books have been known to disappear for ever in there and this one had been languishing down in the depths for three years, so I thought it was time to read it. It looked as though it would be a bit different from other books I’ve been reading this year. Apart from True Grit I don’t think I’ve read any westerns for years and actually this one is not a typical western. It’s not a Cowboys and Indians type western at all but is set in 1879/80 in the silver-mining town of Leadville, Colarado in the heart of the Rocky Mountains. It probably fits in more with the crime fiction genre than with westerns, but it was the setting that attracted me to it. It’s a really good story beginning when Joe Rose, a silver assayer, facing a bleak future as the last of his money has gone and the hope of making his fortune in silver has disappeared, is found dead in Tiger Alley propped up behind the Silver Queen saloon. Inez Stannert’s husband Mark had won the saloon in a poker game and eight months before the story begins he had left her and their friend and business partner, Abe Jackson to run it on their own. Inez has no idea where he is and whether he’ll ever return. Joe’s death is just the start of the mystery – was his death an accident or was he murdered and if so why? Inez sets out to discover the truth and although his wife Emma has asked her to settle his affairs for her what is she keeping from Inez? Where is Mark and why did he leave? There is a new Reverend in town. Inez falls for his charms but is he to be trusted? She had him pegged as a gambler rather than a man of the cloth. And she doesn’t trust the new marshall either – ‘a thin man with the look of a hungry rattlesnake’. Inez knows he is ‘just a two-bit gunslinger from Texas’ hired by the ‘silver barons to keep the peace after last month’s lynching’. So it’s no wonder that she uncovers a web of deceit, counterfeit, blackmail and murder. Leadville was a colourful place, a boom-town, bustling with life -everything is there – the Silver Queen saloon and the Crystal Belle Saloon, Leadville’s leading parlor house, a brick built opera house, whose patrons ‘swelled the after-midnight crowds’ in the Silver Queen saloon, five banks and a small white church with a steeple. Silver Lies won the Willa Award for Historical Fiction and the Colorado Gold Award and was chosen as best mystery of the year by Publishers Weekly and The Chicago Tribune. For more information about Ann Parker and her books see her website. Nicola Cornick is a new-to-me author, but she is by no means a new author. She has written many books – see her website for more details. 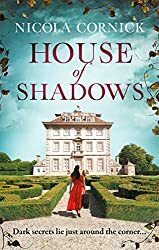 Not having read any of her books I wasn’t sure I’d like House of Shadows, her latest book due to be published on 5 November, but the publishers’ press release persuaded me to read and review an uncorrected proof copy. I’m glad I did as I thoroughly enjoyed House of Shadows. One House, Three Women. And a lie that will change history. On the eve of her death Elizabeth Stuart hands her faithful cavalier William Craven an ancient pearl with magical properties to be kept safe for her rightful heir. Craven, distraught with grief, builds Ashdown Estate in Elizabeth’s memory and places the pearl at the centre. Notorious Regency courtesan Lavinia Flyte is brought to Ashdown House with her protector, Lord Evershot, who is intent on uncovering the Winter Queen’s treasures. Evershot’s greedy pillage of the ancient house will unleash a dark power which has lain dormant for a hundred and fifty years. Holly Ansell’s brother has gone missing. As Holly retraces his footsteps, she discovers that her brother was researching the mystery of Elizabeth Stuart and her alleged affair with William Craven. A battered mirror and the diary of a Regency courtesan are the only clues she has, but Holly is determined to discover the truth: Where is the fabled pearl that Elizabeth gave to William Craven? What happened to Lavinia Flyte? And who is the Winter Queen’s rightful heir? This is a successful time-slip novel as I had no difficulty in following each strand of the story. And each is set firmly in its historical context. It’s a fascinating mix of factual history combined with historical interpretation/imagination to fill in the gaps in the records. Elizabeth Stuart, known as the Winter Queen, the daughter of James I of England and VI of Scotland was married to Frederick V, briefly the King of Bohemia, before his lands were taken from him after the Battle of White Mountain in 1620. There are rumours from 1660 onwards, but no proof, that Elizabeth either had an affair or secretly married William, the first Earl of Craven. Once I started reading the House of Shadows I didn’t want to stop as the history of crystal mirror and the Sistrin pearl, a jewel of rare beauty and price unfolds. Both were inherited by Elizabeth from her godmother Elizabeth I. They had previously belonged to Mary Queen of Scots, Elizabeth Stuart’s grandmother. They were said to hold great magic – the mirror was said to have the power to destroy its enemies by fire, whilst the ring was supposedly a talisman for good. It was reported that Frederick was involved with the Knights of the Rosy Cross and the legend is that the Knights used the mirror and the pearl together in their necromancy to create firewater in which they could both see and transform the future. I also loved the details of Holly’s family history which her brother Ben had been researching before he went missing and how it all linked in to each time line. It’s the sort of thing you hope you be able to would find if you did your own family history. It is a fascinating book. There is so much packed into its pages, a real page turner in each timeline, making me eager to find out what happened next. If this is representative of Nicola Cornick’s books there are plenty of others that I’m going to enjoy. This is a book that really captured my imagination. I loved everything about it – the descriptive passages, the mystery, the secrets and the people involved. It was all real to me. 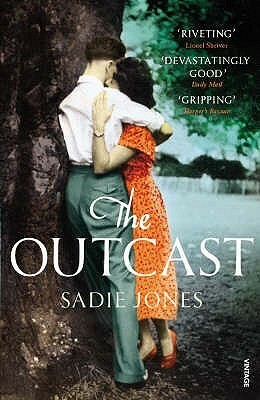 It’s one of the best books, if not the best book, I’ve read this year. 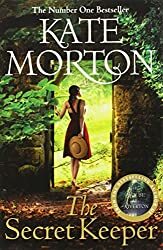 The Secret Keeper by Kate Morton has been sitting unread for two years on my bookshelves, but if I’d read it earlier I wouldn’t have had the pleasure of reading it now – it was well worth the wait! It begins on a summer’s day in 1961 in Suffolk when sixteen-year old Laurel is shocked when she sees her mother stabbing a stranger who had come to their farm. Fast forward 50 years Laurel and her three sisters and brother are coming to terms with the fact that their mother, Dorothy is moving closer to the end of her life. Laurel realises that there is so much she doesn’t know about Dorothy’s life and when they find a photograph of Dorothy and a friend, Vivien, in a book of the play Peter Pan, it arouses old and ugly memories for Laurel – images of her mother’s frightened face as she confronted the stranger. Who was Vivien and who was the stranger? Why was Dorothy so scared? Laurel is determined to find out. It’s a story moving between time periods from 2011, back to the 1960s and also to the 1940s when Dorothy first met and fell in love with Jimmy, a war photographer, and also became friends with the wealthy and beautiful Vivien, married to a successful novelist. Laurel, with the help of her brother, Gerry, tracks down records throwing light on Dorothy’s and Vivian’s past, back to war-time England and pre-war Australia. It’s not a straight forward story. By that I don’t mean it’s difficult to read, because each time period is clearly headed and the characters are clearly defined. But there are so many twists and turns – I thought several times I’d got things clear and knew where the story was heading only a bit later on to realise that not all the clues had been revealed and I had to revise my thoughts. It’s so cleverly written and so well plotted that it was only near the end that I had an inkling of Dorothy’s relationship with Vivien and what had really happened to them all. It really is a book I didn’t want to put down and also a book I wanted to enjoy as long as possible. By the end, though, I couldn’t turn the pages fast enough! Kate Morton’s next book, The Lake House is due to be published in October 2015. I’m looking forward to reading it. Note: as well as being my 17th book for the Mount TBR Challenge 2015 this is my 3rd book for the TBR Pile Challenge 2015. And the 9th book for the Historical Fiction Reading Challenge 2015.